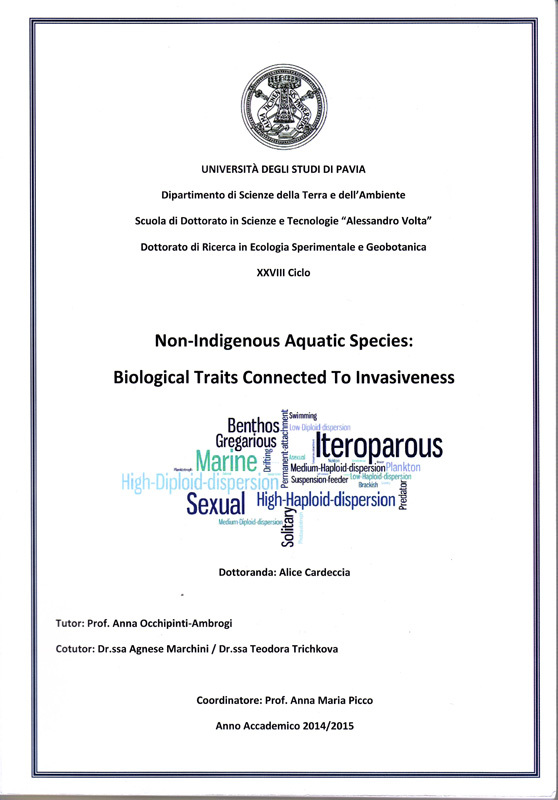 at the Department of Earth and Environmental Sciences, University of Pavia, Pavia, Italy. 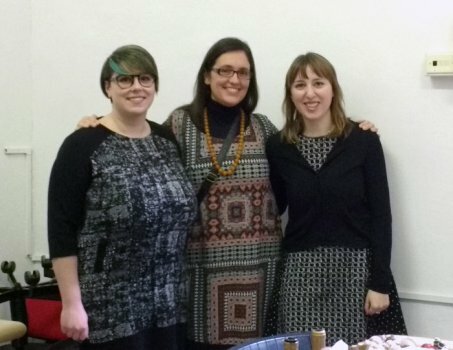 Her tutor was Prof. Anna Occhipinti-Ambrogi, and cotutors: Dr. Agnese Marchini and T. Trichkova. (2) the identification of environmental variables characterising invaded sites and, within these invaded sites, environmental conditions determining the achievement of high population densities. 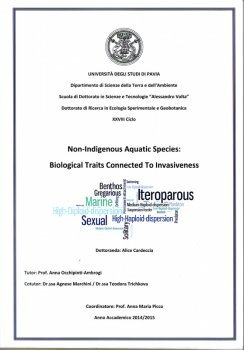 The presented analyses and results are part of the ESENIAS-TOOLS project Case study 1: Biological and ecological traits of invasive alien freshwater mussels in Bulgaria (within bi-lateral cooperation Bulgaria – Italy).